Gull Lake View Golf Club and Resort, one of the Midwest’s premier golf destinations, has partnered with Gallus Golf, the leader in mobile app technology and marketing solutions. Gull Lake View offers six championship courses, resort lodging, multiple dining options, club events among other activities for their customers to enjoy. Their branded mobile club app will help grow the golf community already in place by creating a central hub of club information easily accessible to all golfers, guests, and members. Given the vast amount of activities and amenities available to their customers, the Gull Lake View App will help in connecting the club to its many customer segments. With features like online tee times, loyalty programs, online ordering for F&B, and event information, golfers will have easy access to offerings conveniently located on their smartphone. Gallus technology is designed to seamlessly connect the golf club to its golfers while increasing revenue across all sales verticals. Gull Lake Golf Club is excited to implement these marketing tools, just in time for their 2019 season. Gull Lake View is the Midwest’s premier, stay and play golf destination. Southwestern Michigan’s idyllic lake country is the backdrop for our six championship golf courses, each of which has earned a rating from Golf Digest of 4.5 stars or higher. Designed to balance the unique beauty and terrain challenges inherent in our landscape with pure enjoyment and recreation, all of their world-class courses offer a special experience for golfers. 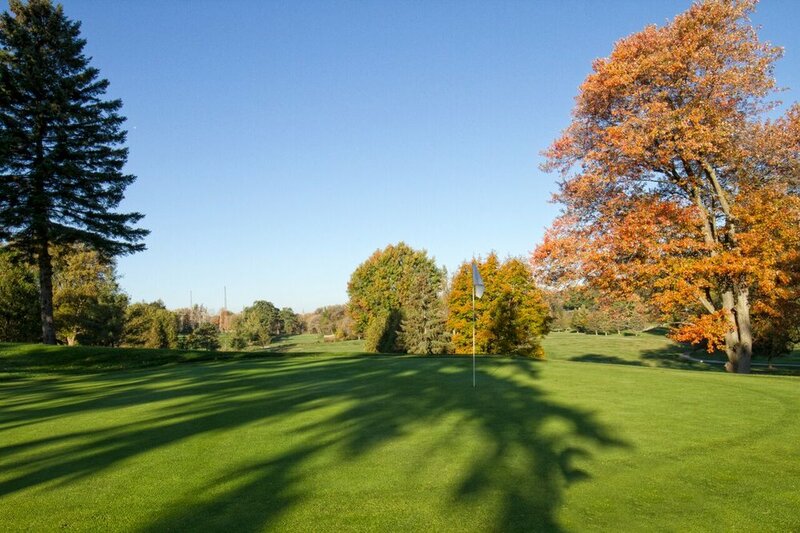 Their newest course, Stoatin Brae, was ranked the #5 Public Course in Michigan by Golfweek. To learn more about Gull Lake View, please visit https://www.gulllakeview.com/. Gallus Golf, the leader in member experience solutions, will be exhibiting at the CMAA World Conference And Club Business Expo in Nashville, TN. 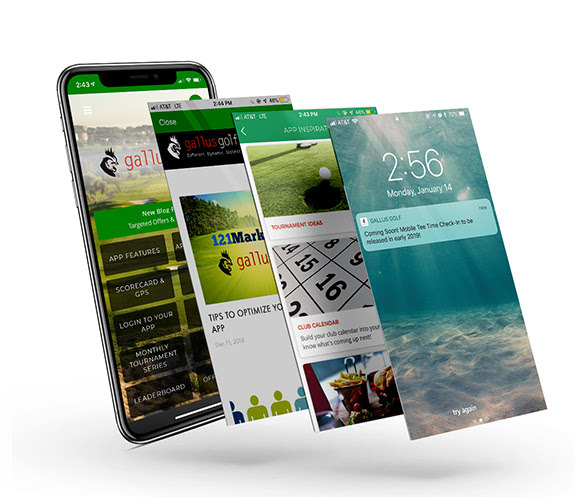 Since 2011, Gallus Golf has expanded its branded mobile app technology to help clubs better connect to their members. Gallus partnered clubs using tools, such as targeted messaging, online ordering for F&B, club announcements, and handicap posting, have seen an increase in member engagement. By utilizing these tools, clubs have been able to strengthen member relations, increase monthly spend, and grow their branded golf communities. 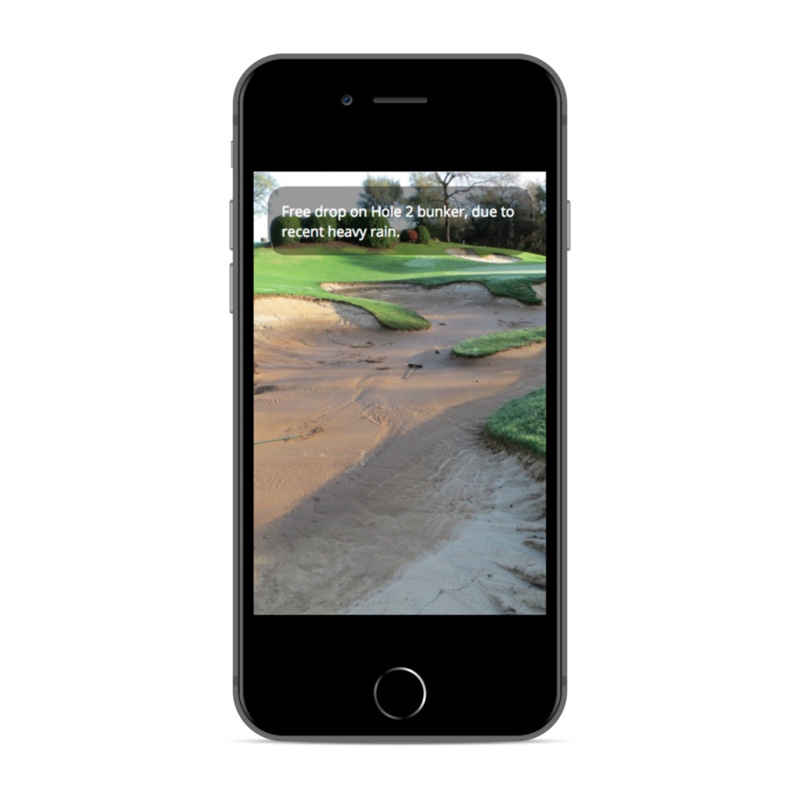 With private clubs having a focus on club amenities and events, a branded mobile app has worked as a hub of information for all current events at their facilities. This has been especially helpful for clubs, who would like to highlight the many other activities offered outside of golf. To help drive awareness and participation at social events, clubs can utilize targeted messaging. This marketing tool allows for unique member segments or individuals to be notified about activities related to their member profile or history of engagement with the club. At the show, Gallus will happily show how easy this engagement can be through a demonstration on the Gallus Golf Club App. 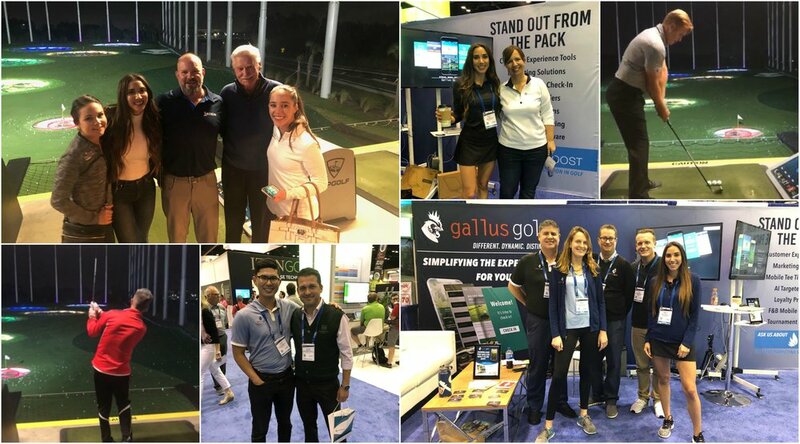 The app was released at the PGA Show to “test drive” a partnered course experience and have first access to Gallus Golf specials, marketing resources, and integrations news. Their initial product special was on Day One of the 2019 PGA Show when they announced the first five new customers would receive a free Chromebook. The limited supply promotion was sold out shortly after the announcement was made. They are expected to announce their next product special on February 26th at the CMAA World Conference And Club Business Expo. Download the Gallus Golf Club App Today. We’ve joined forces with 1-2-1 Marketing to list the best practices of optimizing a website and keeping app engagement high. 1-2-1 Marketing provides website and marketing solutions for golf facilities around the world, helping them sell rounds and memberships. 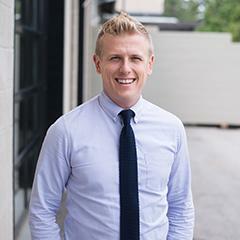 Kent Ashby, Director of Digital Marketing at 1-2-1, breaks down his top tips on how to keep your site performance strong! The website continues to play one of the largest roles when it comes to marketing a golf facility. Websites act as the cornerstone of marketing efforts. Email blasts, Facebook Ads, search engines, and other digital campaigns direct customers to the website in most instances. Because of this, ongoing maintenance and optimizations need to take place in order to keep up with the changing demands of golfers. After all, it’s not 1998 anymore. A lot has changed. Here are some helpful tips and best practices for improving your website’s performance this season. While we pride ourselves on providing golf courses with websites that make great first impressions, functionality and accessibility trump all in 2018 and beyond. It’s important to ensure your website not only looks good on all devices, but functions just as well. These days, users expect lightning-fast website experiences with quick and easy navigation. Your website should have a simple design with clear calls-to-action like “Book a Tee Time” and a contact number that’s prominently above the fold. This is especially true on mobile. Let’s use the screenshot below as an example. At first glance, there are really only two options a user sees; call the course or book a tee time. By simplifying the mobile version of the website to highlight only one or two actions, you save users the time and make their overall experience more pleasant. The smaller percentage of users looking for other information can utilize the menu to navigate to the appropriate place. A major topic in the golf industry recently is the Americans with Disabilities Act (ADA). In an effort to make the web more accessible for the disabled, ADA regulations now apply to some business websites, including golf courses. To make websites more accessible for the vision or hearing impaired, features such as closed captioning, contrast ratios, meta data, and navigation all need to be adjusted for use in conjunction with accessibility software. With ADA compliance being a point of legal turmoil for several golf courses in recent months, it may be time to take a closer look at website accessibility. Golf courses typically have a lot more going on than their website shows. Often times, website content can go stale, with years going by between updates. Start leveraging your website as if it’s a message board for everything exciting that’s happening at your facility! Leveraging things like the online Event Calendar and a blog can help keep customers in the know, potentially leading to more participation at the course. Also, content should be fun! Don’t be afraid to show your personality in your content. People appreciate businesses that remind them that there’s an actual person on the other side of the keyboard. It’s okay to be witty, sarcastic, or silly, especially in the more informal setting of the blog format. Using your favorite GIFs or memes is a perfect way to connect with your customers on a less professional, but more meaningful way. When you provide a strong incentive for users to give you their data, you’ll be surprised at how many more people will take you up on it. This can help build your email database significantly and works well on users that typically wouldn’t provide their contact information. Most golf course operators are at least familiar with the standard website metrics, like visits, users, time on site, and pageviews. While these metrics are important to take note of, there is a whole host of other tracking possibilities that will allow you to attribute value to your marketing efforts. While Google Analytics in its standard form is a powerful tool, there are hundreds of other ways you can use it to track website activity. With a more advanced implementation of Google Analytics, you can track the source of tee time bookings, form submissions, purchases, phone calls and more. You can even see which of your marketing efforts are producing the most revenue! 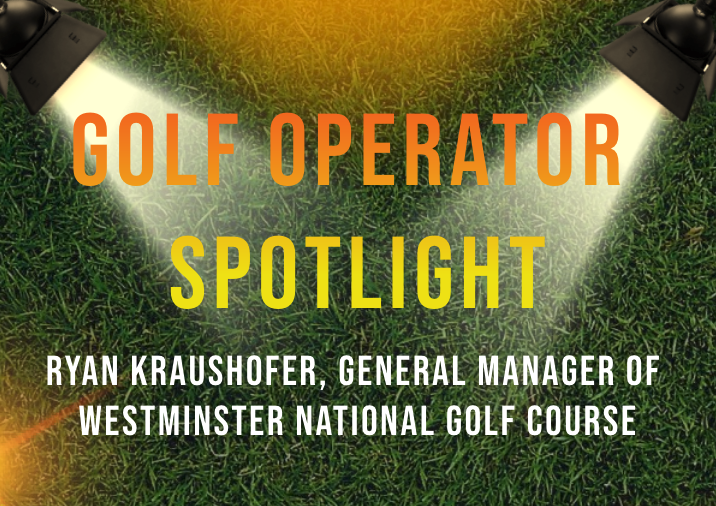 This is valuable information that can assist you in designing the most profitable marketing mix possible for your golf course. Just because a website is SEO friendly doesn’t mean people are finding you on search engines. For golf courses, local search results provide the most value. These local search listings can be managed through Google My Business. Google My Business (GMB) allows business owners and operators to manage information such as hours of operation, imagery, and business categories. GMB also let’s golf course operators respond to reviews quickly and easily. Common mistakes we see with Google My Business listings are 1.) the course hasn’t claimed their listing, or 2.) the listing is incomplete. All things equal, an unverified or incomplete GMB listing will underperform, taking a backseat to businesses that tend to their listings regularly. Often times the Gallus Golf on-course technology, such as golf GPS and scoring get a majority of the attention on tools to utilize. However, when utilized effectively it is our marketing tools that generate the most return to our partnered clubs. In this blog, you will learn how to get the most out of these tools and what the best practices are to ensure your customer connection remains strong! Your branded club app should be viewed as a hub of information for your customers to find: tee times bookings, club events, league information, junior golf, and general information. Fortunately, our tools are designed to reflect your website in a mobile-friendly view, so whenever an update is made on your site, it’s displayed in your app. The only place you will need to remember to update is News Items and buttons that may be seasonal. If you have new monthly events or specials, set a reminder to update that as often as needed. Your app users will appreciate seeing fresh content and will keep them engaged. Whether your Club App is five years old or launching this 2019 season, one thing to consider is including is a loyalty program. By having an exclusive in-app rewards program, you can create more value and give additional incentive for customers to download your app. The beauty of having a loyalty program in your Club app is that rewards are easily tracked and customers can always be aware of how close they are to earning a reward. If you do not want to commit to a long-term program, one-time rewards are a great option. Our Offer Locker was released earlier this year and is essential a digital coupon that is sent to users directly in the app. Offers can be flexible to fit your club’s needs and sent to the full database or targeted segments. Targeted messaging is a marketing technique that customers are showing appreciation for with 44% of customers saying they would be willing to provide their name, address, email address and more in order to receive relevant offers. 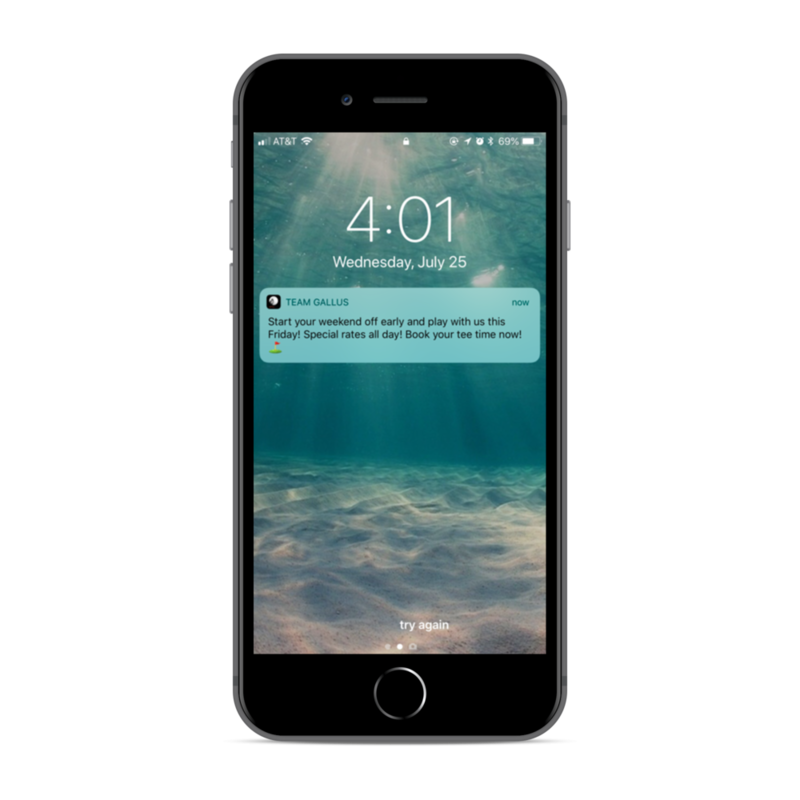 Push Notifications are efficient in setting up and quickly delivering a message to your audience. Use push notifications to broadcast your club promotions, upcoming events, and even course conditions. Schedule a push notification once a week. App users who receive one or more push notifications in their first 90-days have 190% higher average retention rates than those who don’t receive any push notifications. Use Emojis! In a recent study with over 2.6 push notifications, data showed that emojis drive push notification opens by 85% and conversion by 9% 😃. Timing is key for reaching users in a meaningful way. It’s impactful when a customer receives a notification showcasing deals in the pro shop and restaurant when they arrive in the parking lot. Research from a recent study shows 36% of people who shop using apps said a mobile location-based push notification influenced an in-store purchase they made. 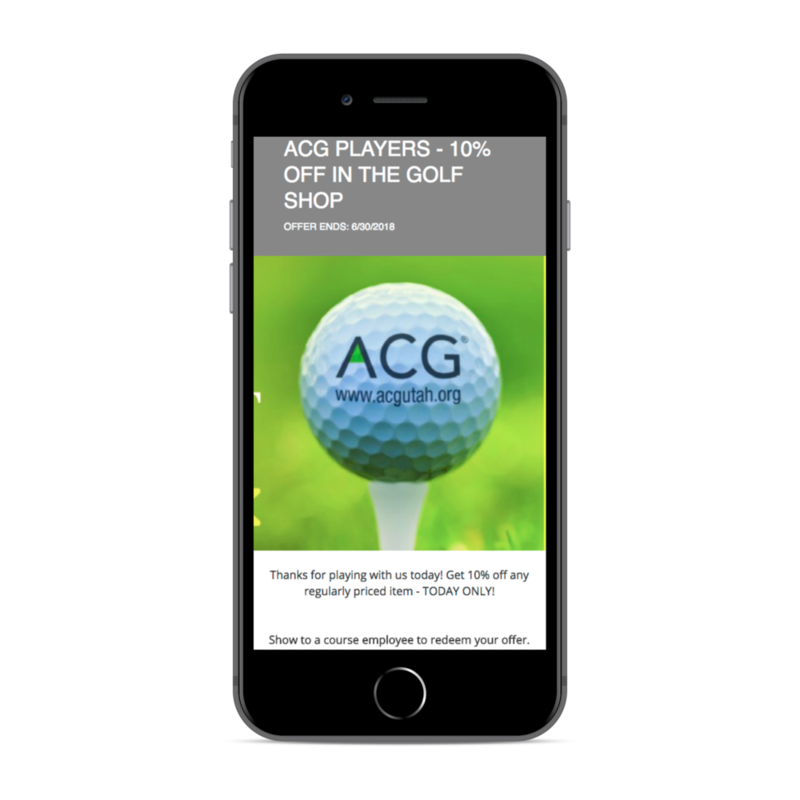 When it comes to email marketing, we know promoting greens fee specials will get your golfers to your course, but often times, food & beverage or merchandise specials are not as strong of an appeal. 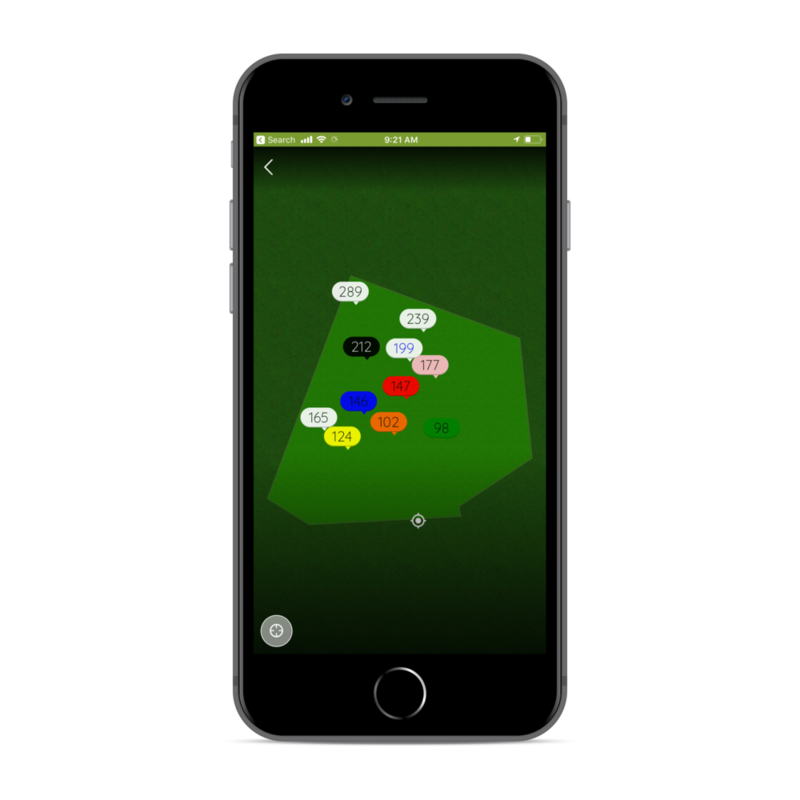 With geofence technology, you can create a custom message for your golfers as they arrive at your club with all new specials and offerings available. 90% of US mobile users keep their location services turned on, and because your customers will be in the vicinity of these offerings, the likelihood of purchase is much stronger. Revenue-Generating Marketing Ideas To Start Now! The last day of summer is this Saturday, September 22nd, and that means it’s time to start marketing your Club’s Fall and Holiday promotions if you haven’t already. It may seem like the shorter days and cooler weather would hurt your bottom line, but in reality, there are plenty of marketing opportunities to promote seasonal club offerings to boost your annual revenue. Below are some revenue-generating initiatives your club can promote this Fall! Even though summer is nearly over, there is still much golf to be played! If your club has annual memberships, now is a great time to promote your 2019 memberships with free golf the rest of the year. This will entice the customers who enjoy your club, but on the fence with a membership investment. You don’t always have to discount or give away something either. Create a value-added Membership offer that your members can’t refuse! You can do this by increasing your membership price slightly and throw in a low-cost equipment item. For example, “Free Driver With Your 2019 Membership” with an expiration date of November 1st. The timing of an offer like this aligns perfectly this time of year with the upcoming release of 2019 product lines and increase in consumer spending during the Holidays. It’s Football season and you may have noticed some slower weekend golf days. 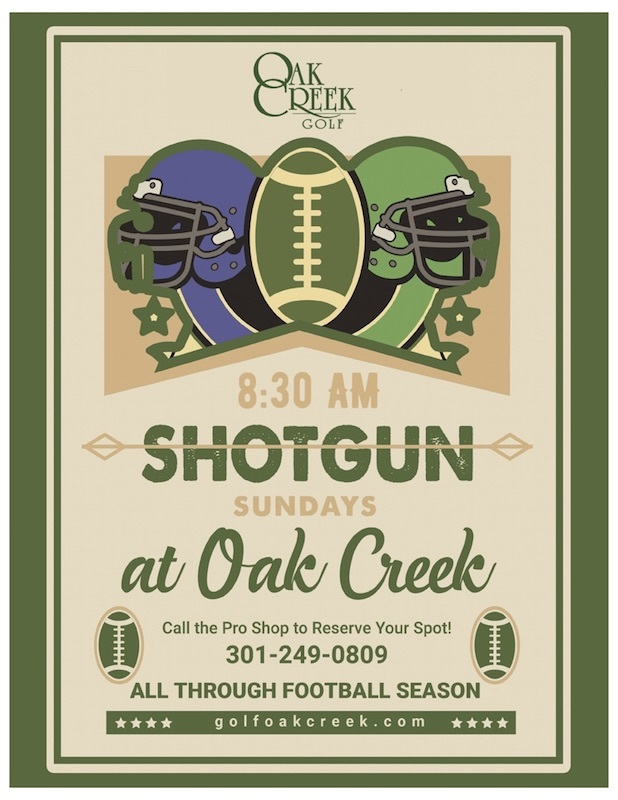 Make your club the Game-Day Spot your golfers want to watch Football at! A couple of ways to do this could be offering a weekend golf package including golf and a lunch special. Also, be sure to promote your weekend Football Specials during the afternoon, so those that are just practicing in the afternoon, now have an additional incentive to have lunch at your club and watch football. You can do this by placing a geofence message over your course that highlights the weekend specials. Another way to make sure your tee sheet doesn’t suffer during the Football season is by having an early morning shotgun during the weekends. This way your golfers can make it a ritual to get their course time in before Football, and you still had 144 players on your course. Maybe summer leagues are ending or college students are back at school, and your club is experiencing open windows of availability that you want to be booked asap. No problem! You can do a number of things with your app to fill up your tee sheet. 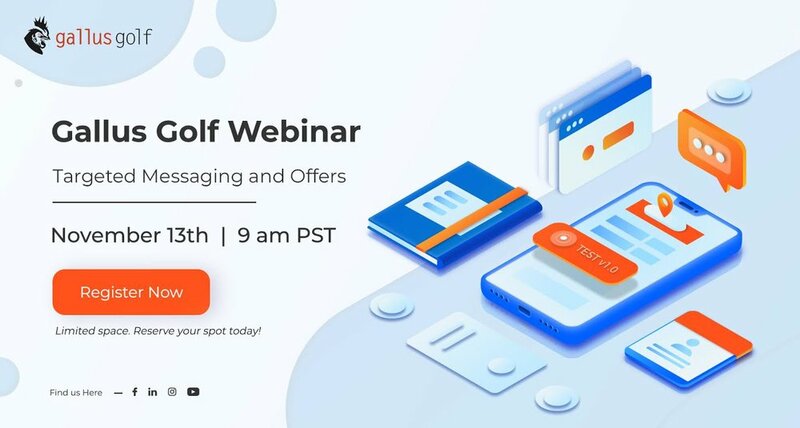 Of course, by now you’ve heard us discuss push notifications, but this powerful tool can instantly get a message to your audience and booking a tee time within a couple clicks. This return is easily worth the 30 seconds of time it will take you to craft a message and click send. If you want to provide a golf promotion, create an in-app reward with the Offer Locker. By using the Offer Locker consistently, you will increase downloads, engagement, and make your app content more fun and valuable to your audience. Examples of this can be $5 off your weekday round anytime after 3 pm, or $49 weekday round and dinner. It’s not too early to begin thinking about the Holidays and how your club can maximize its holiday sales. What if we told you, you could increase club revenue by simply adding a button to your app? It sounds too good to be true, but our Affiliate Program is designed for our Club Partners to do just that! 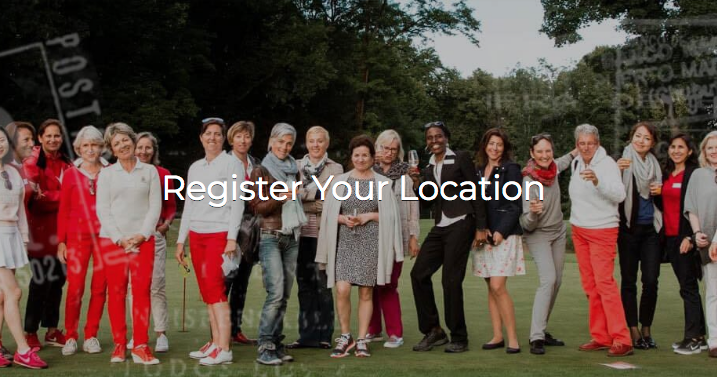 We’ll connect you to a number of brands your golfers can shop online and when an online sale is made, your club gets a percentage through your affiliation. This is a great way to get ahead of the Holiday Season and offer products to your customers without stocking them in your golf shop. The Affiliate Marketplace is free and easy to sign up, and flexible in brands you want available in your Club App. It’s Beginning To Look a Lot Like… Party Season! As some of you may be going out-of-season soon, it’s peak season to book venues for Holiday parties. Start marketing your clubhouse facilities for social gatherings, corporate luncheons, and the end of the year celebrations! If you experienced a rough season due to harsh weather conditions, this is a great way to recover from any lost revenue. If you have any questions or would like to discuss the best golf marketing strategy for your course, please reach out to our BOOST Team. Whether it’s ideas on your Fall events, Black Friday promotions, Holiday parties, BOOST can offer advice on best methods for making your message stand out against your competitors!